Rwanda is famous for its rainforests, wildlife, and lush green countryside. But deforestation due to poor land management, demand for firewood, climate change, and increasing pressure from a growing population was leading to a rapid decline in tree cover—which can be damaging for the local ecosystems. Yet over the past few years, Rwanda has become only one of three countries in Central and Western Africa to achieve a major reversal in this trend! It’s on course to achieve its goal of forest cover on 30% of total land area by the year 2020. 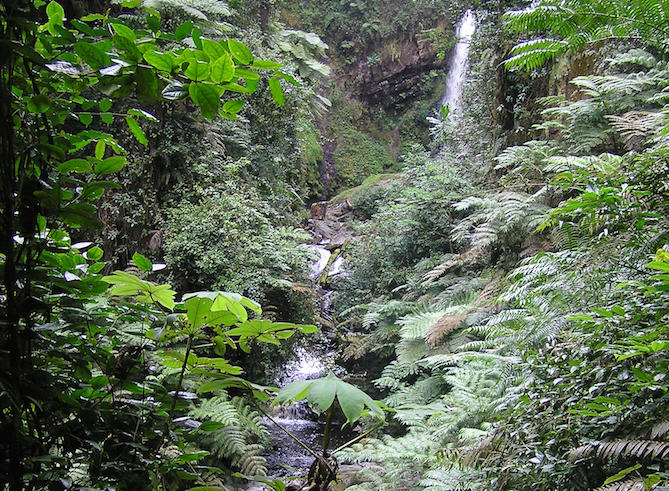 Rwanda even received a UN-backed award for its national forest policy in 2011. Two years ago, the UN Forum on Forests recognised just five individuals worldwide with their Forest Heroes Award for their efforts to sustain, protect, and manage forests, as well as inspire positive change. One of them— and the only African—was Rwanda’s Dr. Rose Mukankomeje, the Director General of Rwanda Environment Management Authority. Dr. Rose is forceful and effective when it comes to championing the need to protect the environment. Not only is she a fierce advocate for re-forestation, she is also credited for the many policy and legal reforms on environment that have taken place throughout the country, including her campaign for a law on plastic bags. “Rwanda is too small to accept losing any bit of its land to plastics”, she says of the law she helped introduce that abolished the use of plastic bags in Rwanda. New paper packaging materials were introduced and enforced so strongly that those traveling from neighboring Uganda are asked to take their bread out of plastic and place it into different packaging at the border post! Dr. Rose is a strong advocate of green growth. She’s renowned for having led several tree-planting campaigns, as well as protecting or regulating the exploitation of wetland and freshwater ecosystems in the country. She insists that she is not an environmental activist—only a policy implementer. “Preserving the environment is everyone’s responsibility, and not just for activists,” she says. One of her most successful initiatives is using Umuganda—a Rwandan concept meaning “coming together in common purpose to achieve an outcome”—to raise public awareness of environmental issues. Now, people go out into their communities one day per month to clean up the environment and plant trees! It is a unique solution that ensures that the growth of forests in Rwanda supports livelihoods and benefits poor people. Rwanda is home to rare mountain gorillas and depends on green tourism and the preservation of its wildlife as an important source of income—not to mention producing sustainable livelihoods for its people! Fighting the threat of deforestation is of paramount importance. But Dr. Rose doesn’t just see this as a national issue. For her, this is a global challenge.